Haven Fair plays the mysterious Erik, the Phantom of Opera. 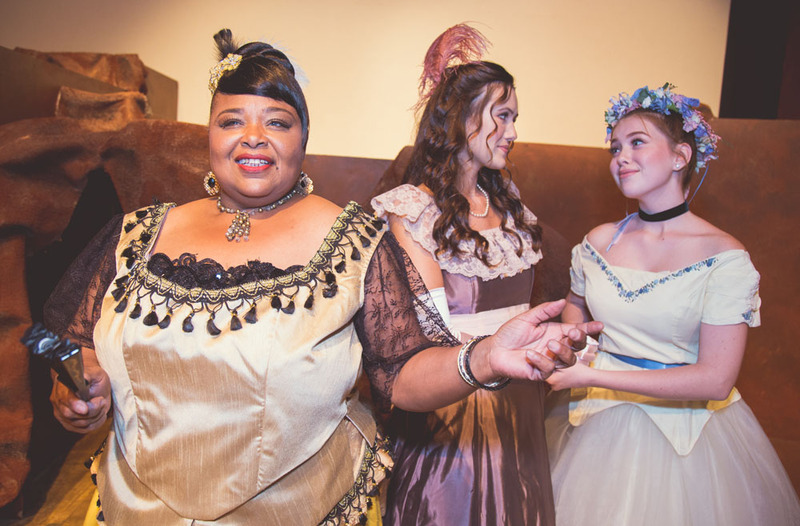 in LifeHouse Theater’s original musical “Phantom of the Opera” running August 26 – September 24, 2017 in Redlands. (Redlands. Calif.) The popular and suspenseful tale of the mysterious Phantom comes to LifeHouse Theater in a new original musical. “Guests will witness young Christine’s rise to fame in the opera world, thanks to the schemes of the ominous Phantom, who seeks to win her heart. Sinister plots abound amidst comedic moments and tragic situations based on the original classic novel, “said Jeff DeWitt, General Manager of LifeHouse Productions, Inc. Performances begin Saturday, August 26, at 7:30 PM and will continue on weekends through September 24. Performances are Fridays at 7:30 PM, Saturdays at 2:15 PM (except Opening Night) and 7:30 PM, and Sundays at 2:15 PM. A special Throwback Thursday evening performance, with special pricing, is September 21 at 7:30 PM. The performance on Friday, September 8, at 7:30 PM also feature an interpreted presentation for the deaf. Scott has teamed with professional television music composer Zach Marsh, who has worked with him in creating the contemporary score, lyrics and orchestration. Scott’s production staff includes assistant director Chris Hallenbeck, choreographers Jennifer M. DeWitt and Tai Dooley, music directors Sarah Pearce and Jeremy Yeo and costume designer Machir Lakofka. Scenic design is by Vincent Martinucci. This new musical adaptation features a cast of more than thirty performers from all over the Inland Empire. The Players includes Haven Fair plays Erik, the Phantom of the tale. Autumn Manson plays Christine Daae and Jordan Crother plays Raoul. The production also features Diana Handy as Carlotta Guidicelli, John Griffith as Pierre Dubois, Lilly Spencer as Meg Giry, Dave Hurley as Armand Moncharmin, Rich Lampe as Firmin Richard, Duane Crother as Gerrard Sorelli, Nick Diliberto as Commissioner Mifroid and Priscilla George as Madame Giry. 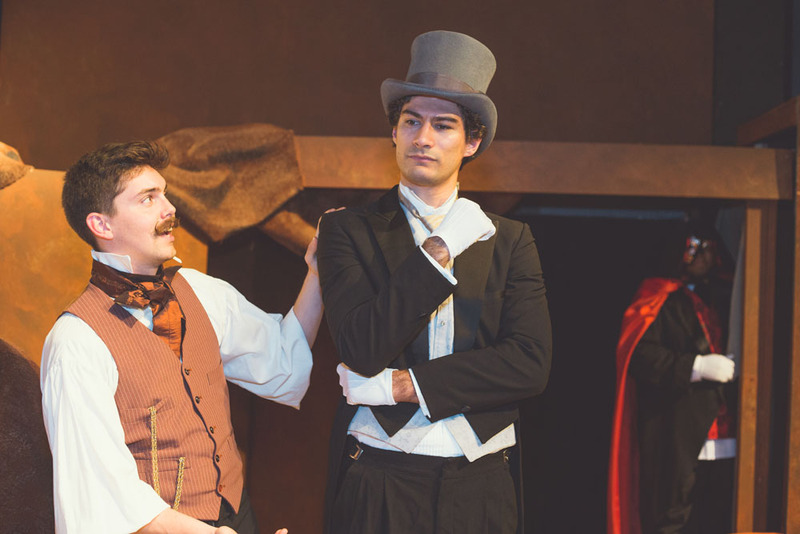 “Phantom of the Opera” concludes LifeHouse Theater‘s 23rd season. The new 24th season has been announced with money-saving season passes now on sale at the LifeHouse Box Office. Advance ticket prices are $18 or $24 for adults and $9 or $12 for children ages 3-11 (no children under 3 are admitted) and can be purchased over the phone with a Visa or MasterCard by calling (909) 335-3037. Tickets are available online at boxoffice.lifehousetheater.com. Guests are encouraged to reserve seats early as performances do sell out. The LifeHouse theater is in Redlands at 1135 N. Church St. in, next to the Redlands Christian School. Free parking is available in back of the theater. More information call (909) 335-3037 or visit the website at www.lifehousetheater.com. 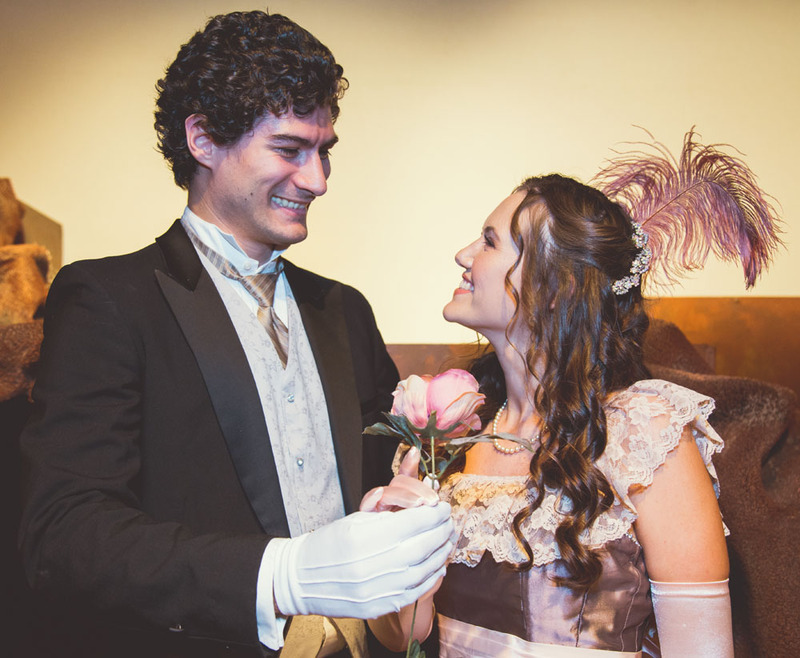 The popular and suspenseful tale of the mysterious Phantom comes to LifeHouse Theater in a new original musical of “Phantom of the Opera” staring Haven Fair as the Phantom and Christine Daae as the object of the Phantoms affections. The musical runs weekends starting Saturday, August 26, at 7:30 PM through September 24. For tickets or for more information call (909) 335-3037 or visit the website at www.lifehousetheater.com. (San Bernardino, Calif.) When talking about San Bernardino, its reputation often precedes it. Words like poverty and crime roll off the tongue too easily. Then came the worst massacre in the United States since 9/11 and the City of San Bernardino was once again in the news. And the news was not good. Ray Anderson, a business coach by trade and Salvation Army advisory board member, knew the negative images of his city were indelibly etched in the minds of people around the world. Adding terrorism to the list didn’t help. He wanted to see San Bernardino celebrated, not mourned or worse, ignored. On the eve of his 70th birthday, the wheels started turning. “We want to turn a negative image into something positive and uplifting,” Anderson said. “I’m committed to a personal effort to demonstrate that one person acting in faith can change the course of a family, a neighborhood and a community. 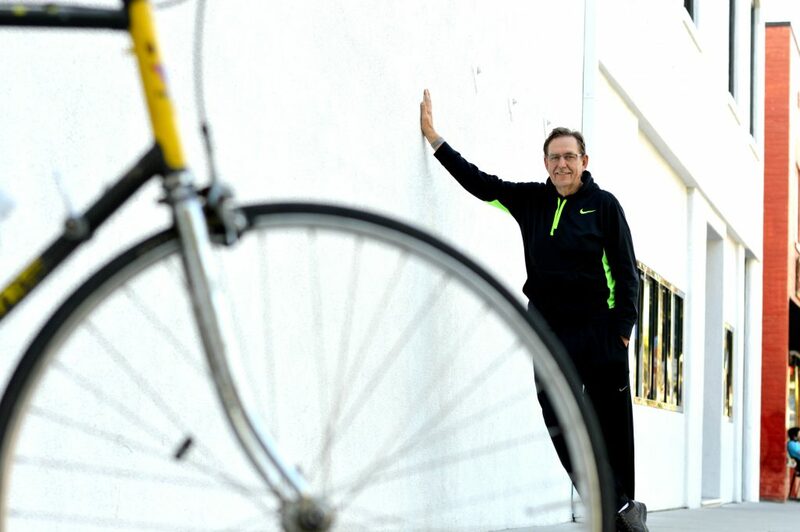 Anderson, along with San Bernardino Mayor Carey Davis and Major Dan Henderson of The Salvation Army Corps will cycle their bikes through San Bernardino in the 70:70K Ride on Saturday, October 14. The goal is to raise $70,000 to purchase and rehab up to four houses for The Salvation Army’s “Path to Prosperity” program. Through the program men have a safe, sober home to rent live in the while they compete their education, a job training and maintain a job while rebuilding their “spirit, family and life.”. The Path to Prosperity is open to any man who has successfully completed a substance abuse treatment program and can prove he has lived clean and sober for the last six months. “The Path to Prosperity program is a final step to transform men with little hope into contributing members of the community,” Anderson said. The Path to Prosperity is currently limited to 30 men for the 18-month program. The need is so great that there is a waiting list of those hoping to join when space is available. The addition of four new homes will enable Path to Prosperity program to serve as many as 25 men on the waiting list. Anderson said the Path to Prosperity program has more than a decade of successfully returning 91 percent of clients, more than 323 graduates, back on the community, sober and self-sufficient. He hopes to get as many people involved as he can to support the program, both through donations and the ride itself. 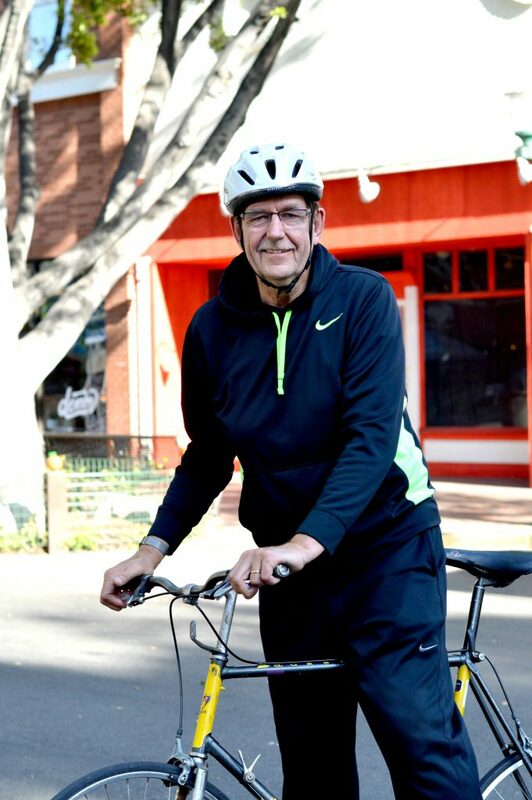 A goal of 250 cyclists, led by San Bernardino Mayor Carey Davis, will navigate through the city and pass by some of the spots that make San Bernardino unique. The ride cruises along Historic Route 66, passes by the Little League West Regional Diamond, Cal State San Bernardino, San Manuel Casino, the International Airport, the 66ers San Manuel Stadium and ends at San Bernardino City Hall. A Vietnam veteran, Anderson said he remembers what it was like to come home to a less-than-welcoming environment. But work was plentiful. Now, the opposite is greeting our veterans, Anderson said. 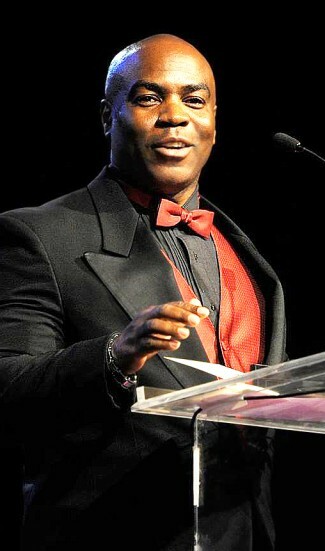 “The goal is to help men in trouble rebuild their lives through education or job training and return to society. Instead of costing us $45,000 a year, recovered men can now contribute $30,000 or more to our local economy every year,” said Anderson. People can participate in a number of ways. Everyone is invited to ride along, even if only for short segments. Riders can ask friends and family to support their effort with an on-line donation at various levels. “You can contribute directly to the campaign at The Salvation Army link: 7070Ride.weebly.com,” said Anderson. The cost to join the 70:70 Ride is $70 per rider. For more information, on the 70:70 Ride call Cesar Gomez at (909) 230-292. Or Register to ride at 70:70Ride.weebly.com For information on the Path to Prosperity Program call the San Bernardino Corps headquarters at (909) 888-1336. Men seeking help to overcome drug or alcohol addiction should call their local Adult Rehabilitation Centers at (909) 889-9605 in San Bernardino County or (951) 940-5790 in Riverside County. The Salvation Army may be able to provide emergency services including food; lodging for homeless or displaced families; clothing and furniture; assistance with rent or mortgage and transportation when funds are available. The Salvation Army Team Radio Network assists rescue workers and evacuees in such disasters as fires. The Salvation Army is an evangelical part of the Universal Christian Church, and also offers evangelical programs for boys, girls and adults. One of the largest charitable and international service organizations in the world, The Salvation Army has been in existence since 1865 and in San Bernardino since 1887, supporting those in need without discrimination. Donations may always be made online at www.salvationarmyusa.org or by calling 1-(800)-SAL-ARMY. 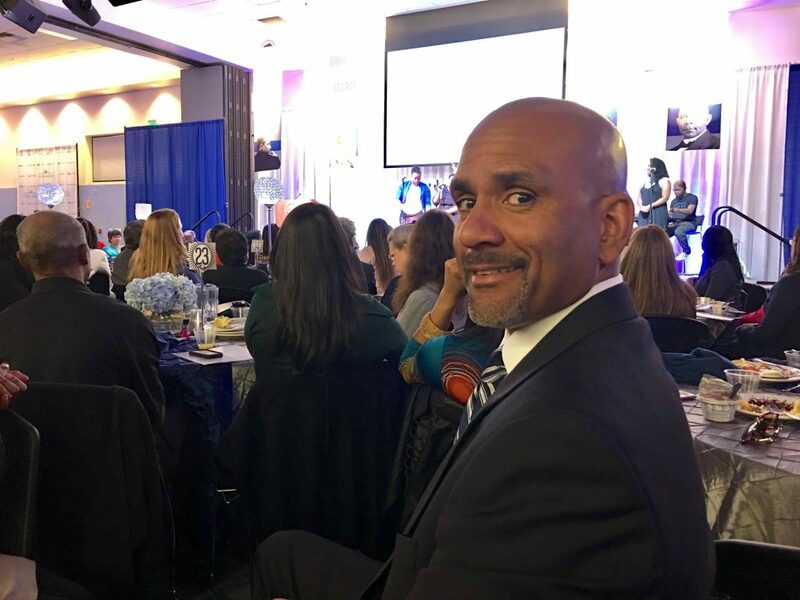 “We want to get the word out, in a fun way, that we’re doing all these phenomenal things in the College of Social and Behavioral Sciences at California State University in San Bernardino,” said Dean Dr. Rafik Mohamed. (San Bernardino, CA) The illustrations are bright and quirky. The text is filled with simple words a first grader could read aloud. But the deeper meaning behind the Dr. Seuss masterpiece “Oh, the Places You’ll Go” has sent many a university graduate on their way to a new chapter in life. The book became a theme for showcasing the students in the College of Social and Behavioral Sciences at California State University in San Bernardino. Dean Dr. Rafik Mohamed ran the idea past Director of Development Stephen Arneson and they identified five students – Julie Leyba, Meghan Streeter, Richard Bark, Rocio Gomez and Joseph Egbule – to represent its diverse graduating class of 2017. For all their differences, the five students also had lot in common. They each credit that special person that pushed, pulled and prodded them to go beyond what they thought they could. They leaned on friends they met at CSUSB, with study sessions that included copious notes, cups of coffee and sleepless nights. They’ve paid late fees, lab fees and parking fees with a smile and gave their fitbit fits, logging thousands of steps a day navigating an ever-growing campus. Public policy is a broad term for making a difference in government. 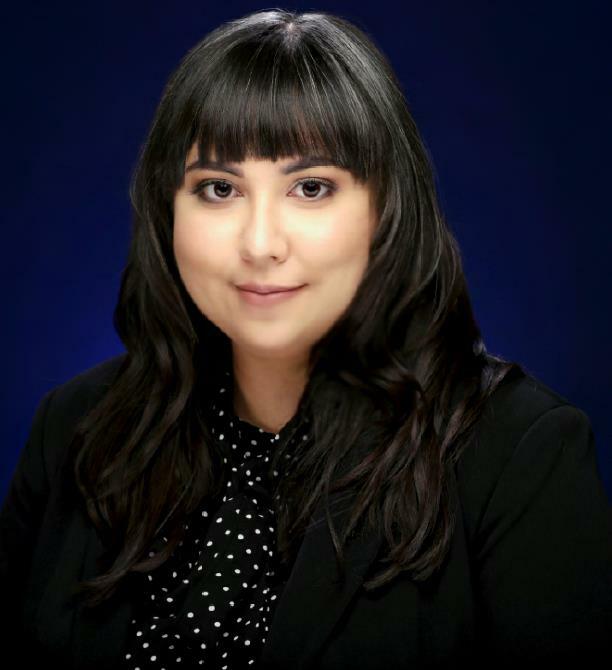 Julie Leyba plans on attending law school following her time working in Washington D.C. as the recipient of the prestigious 2017 Panetta Internship. While at school, Leyba was challenged by Dr. Al Mariam. But at home, her driving force was her older sister, Erica. The sisters lost their father and are caregivers for their mother as she battles Multiple Sclerosis. It was Erica that told Julie that her education came first. Raised in the Inland Empire, Meghan Streehan kept close to her support system – her family. Her mom had always pushed her to be more and she started her college career near home at Norco College. Fresh faced and more than a little nervous, Streehan transferred to CSUSB with a goal of better understanding human relationships and helping others. She credits professors Andrew Watson and Emily Shum for encouraging her to look at the world from a different perspective. The supportive environment created a home away from home for Streehan and inspired her to complete her first degree. 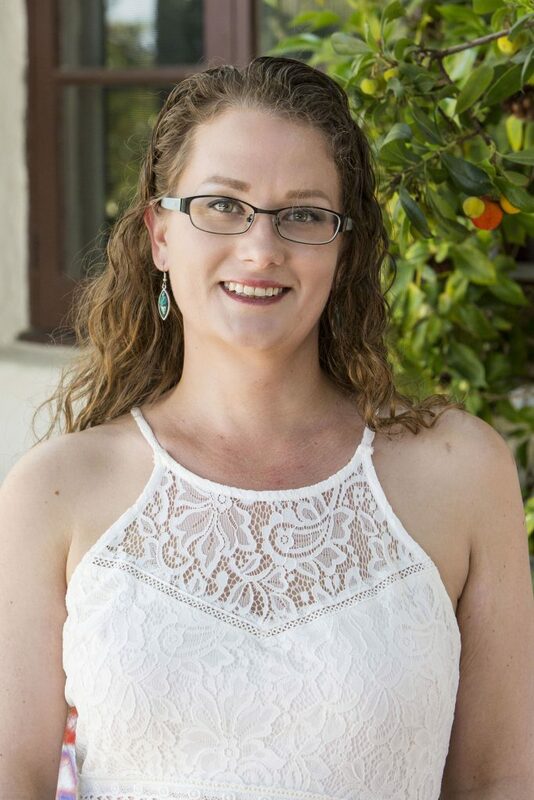 Streehan will head up north to Humboldt State to earn her Master’s Degree in Serving Rural and Native American Communities. Her dream is a career on a reservation in Northern California serving Native American communities. Richard Bark has logged plenty of miles in his quest for higher education. Giving new meaning to the words “commuter school,” Bark came to CSUSB to earn his master’s in Applied Archaeology. 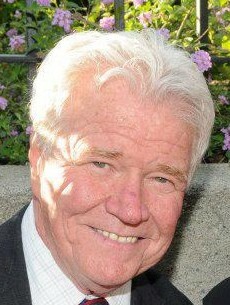 His bachelor’s degree came from his hometown school, University of California, San Diego. He currently works for the Navy in San Diego. 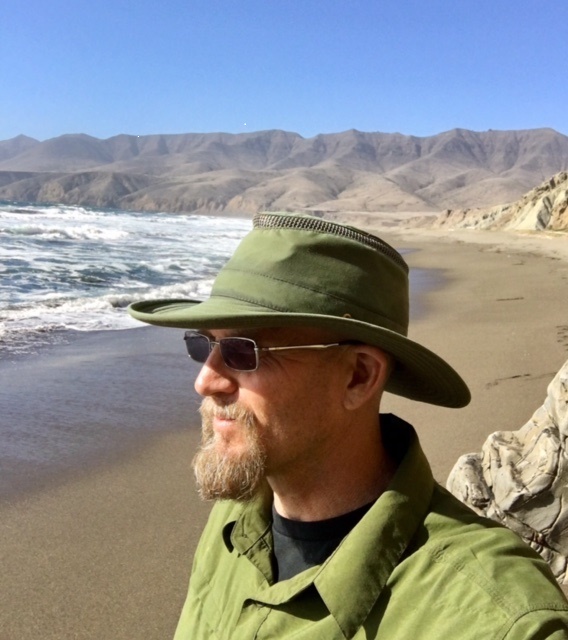 Daunting drive aside, Bark credits his wife’s support and his professors, Dr. Amy Gusick and Dr. Peter Robershaw in building a challenging yet practical foundation of method and theory. He has worked in the Cultural Resources Management field for more than 20 years, managing contracts and consulting with the California Historic Preservation Office and different tribes in the area. Bark said the graduate degree CSUSB offered was exactly what he’d been looking for. 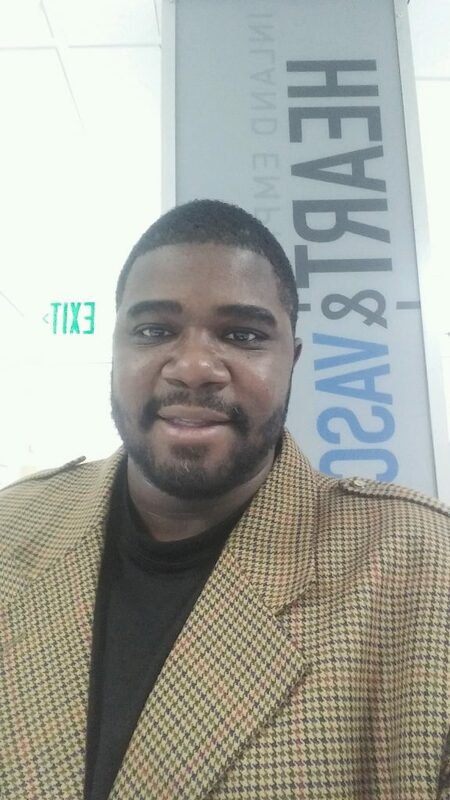 Bark believes that his discipline to commute to CSUSB from either Edwards Air Force Base or San Diego, coupled with the degree being an extension of the work he already loves, drove him to be successful in this field. A first-generation college student, Rocio Gomez set an example for family and friends alike. She spent much of her time working during college, studying in her free time. In addition, Rocio was very active in the History Club and tutored Upward Bound students for two years. Rocio loved Dr. Jeremy Murray’s Chinese History class, mostly because it evoked so many emotions that she had to learn more. 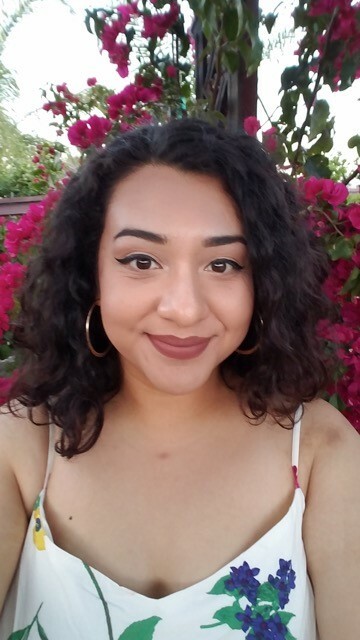 Currently, Rocio has been working with the Lake Elsinore School District but will move to a summer internship position at Manzanar National Historic Site. Her dream is to be a park ranger, with an opportunity to help people and the nature that serves them. From his home in Rancho Cucamonga, family support helped Joseph Egbule thrive at CSUSB. The school and his professors taught him to “think out of the box,” taking in all circumstances to understand a situation. His time at the university also shaped some of his political beliefs. For his part, Egbule said his positive attitude and dedication, along with really good memorization skills, lead him to follow his dreams. Egbule will move on to law school at the University of Southern California School. After graduation, he plans to pursue his long-term goal of becoming a partner in a Los Angeles-based law firm. His dream is to be part of the in-house legal counsel for a large corporation, such as Google. The College of Social and Behavioral Sciences (CSBS) offers nationally ranked programs that explore a wide range of human issues. It is dedicated to the growth and support of undergraduate and graduate education, research, public service, and professional development. “We are confident that a degree in one of our academic programs will provide students with the professional integrity and knowledge to communicate effectively across disciplines and cultures. Our primary mission is to transform the dreams of our students into a reality that will enhance society at large,” said Dr. Mohamed. “We offer students the breadth of a traditional and innovative education in the social sciences while preparing them for a wide range of professions, for graduate school, and for advanced professional study in fields such as criminal justice, political science, law, clinical psychology, and economics,” said Arneson. The College is home to 14 academic different departments and programs including Anthropology, Criminal Justice, Cyber Security, Economics, Geography and Environmental Studies, History, Political Science, Psychology, School of Social Work and Sociology. Our faculty and staff are student-centered and are dedicated to providing friendly, personal guidance, and mentoring to our students. The College of Social and Behavioral Sciences (CSBS) is the largest College at Cal State, San Bernardino. As Dr. Seuss says: So… be your name Buxbaum or Bixby or Bray or Mordecai Ali Van Allen O’Shea, You’re off the Great Places! Today is your day! Your mountain is waiting. So…get on your way! (San Bernardino, CA) Where there’s smoke, there’s fire. Where there’s no smoke, there’s a firestorm. Third-hand smoke is the residue from tobacco smoke that accumulates on surfaces. It sticks to walls, windows and furniture or can settle as toxic dust in homes and cars. It even sticks to clothing and hair. The residue builds up in the environment, becoming more toxic over time, according to TobaccoFreeCA.com. In San Bernardino County, the California Health Collaborative (CHC) has been crusading for tobacco-free apartment units since 2015. Through voluntary tobacco-free housing policies, CHC touts the benefits for renters, property managers and owners, said Roberto A. Terrones, Program Coordinator for San Bernardino County’s Tobacco Control Program. Terrones said that many in the housing industry expect for tenants of apartment buildings to be against these types of tobacco free policies, but that is not the local nor state-wide sentiment when it comes to these changes. While there has been some blowback, he said, the majority of tenants appreciate the new rules. One-third of Californians live in multi-unit housing, according to the U.S. Census Bureau. Units share common walls, floors or a ceiling, which means that millions may be exposed to secondhand smoke even if they do not allow smoking in their home. Nine out of 10 people do not smoke in their homes, Terrones said. About seven out of ten people who want tobacco free-housing are people that don’t smoke. The importance of having tobacco-free housing is to protect the health of tenants, said Evi Hernandez, CHC Director of Program Services. Many times, Hernandez said, they are protecting people that cannot afford to live in single-family homes and those at highest risk for serious illness caused by tobacco smoke exposure, including children and the elderly. 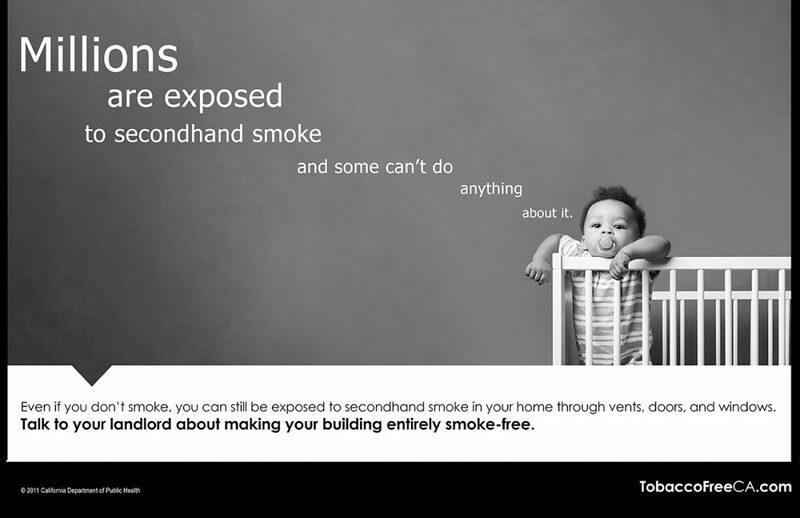 Long considered a health hazard, secondhand smoke seeps through doors, open windows, outlets and ventilation systems. The health benefits may be obvious, but decreasing the hidden financial costs are a bonus as well. Estimates to ready a unit for rent after a smoker has lived there could be in the thousands of dollars, Hernandez said. When an apartment complex goes tobacco-free, CHC offers a resource directory for tenants that includes local tobacco cessation resources and information about the California Smokers’ Helpline (1-800-NO-BUTTS). 3) Coordinate efforts by incorporated cities in San Bernardino County to adopt a policy that eliminates sales and distribution of tobacco and/or electronic nicotine delivery devices (ENDD) products in pharmacies where licensed professionals provide health care services. 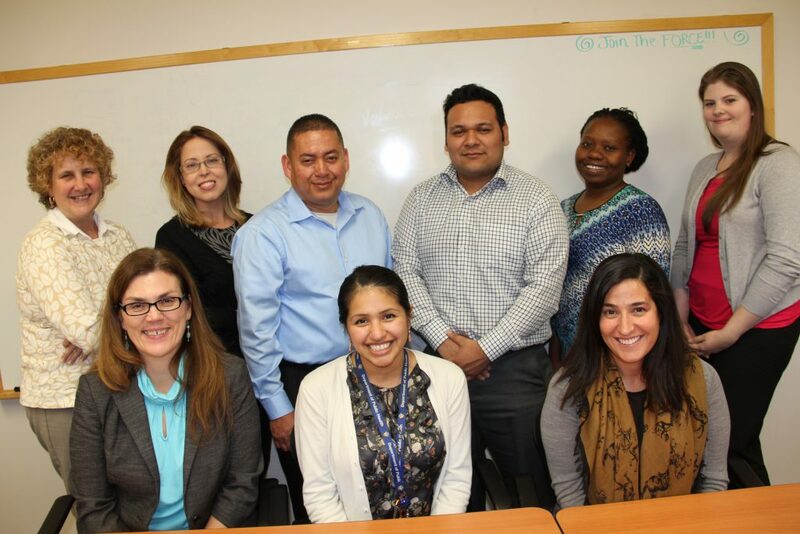 Program plan strategies were developed based on results of a community needs assessment and prioritization process and adhere to priority areas and guidelines set forth by the California Tobacco Control Program. Bill Chamberlain, Vice President of Sales and Marketing at Raceway Ford will receive the 2017 Whitney M. Young Jr. Service Award. Terrence Stone, Founder and Chief Operating Officer of Young Visionaries Youth Leadership will receive the 2017 Whitney M. Young Jr. Service Award. (San Bernardino, Calif.) The Boy Scouts of America California Inland Empire Council will honor two men that have made it their personal mission to offer time and encouragement to youth that often fall through the cracks in their community. Bill Chamberlain, Vice President of Sales and Marketing at Raceway Ford and Terrence Stone, Founder and Chief Operating Officer of Young Visionaries Youth Leadership will receive the 2017 Whitney M. Young Jr. Service Award. An awards breakfast is scheduled Friday, March 24, 7:30 a.m. at the Victoria Country Club, located at 2521 Arroyo Dr., in Riverside. The Whitney M. Young Jr. Service Award is to recognize outstanding service by an individual for demonstrated involvement in the development and implementation of opportunities for youth from rural or low-income backgrounds – in fulfillment of American civil rights leader Dr. Young’s dream of justice and equality for all. Proceeds from the breakfast will support the Assistance to Others Fund of the California Inland Empire Council, Boy Scouts of America. The charity is designed to help provide financial help for families in need of Scouting registration fees, handbooks, uniform needs and training. 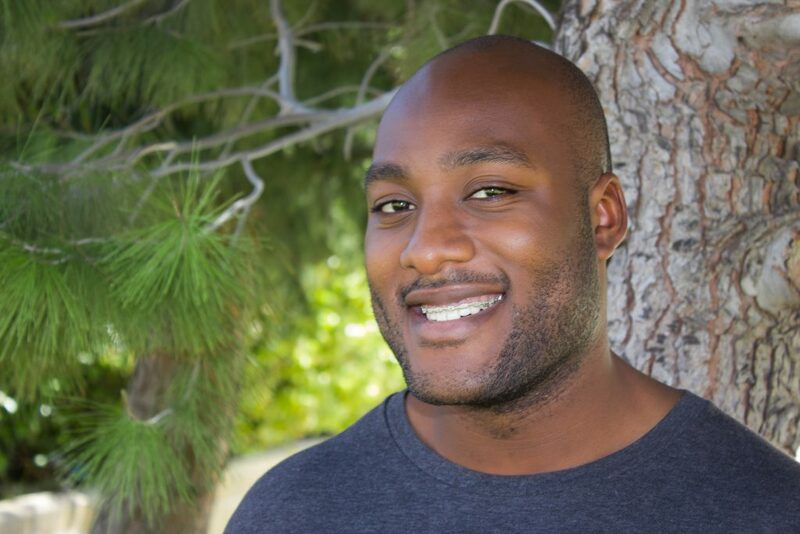 Mentoring at-risk youth is Terrence Stone’s life work. Success is measured in many ways, Stone said, from a hug to a weekly paycheck. One of his best days was at a waterpark in Redlands, when he recognized a young man he’d mentored as an employee. Pride and joy only scratch the surface. In addition to local youths, Young Visionaries recently renewed its contract with area juvenile halls, offering a workforce development program that helps them get jobs when they leave the facility. They teach everything from how to dress, customer service and work ethic. “Every kid out there needs something and they’re all different. The common denominator is they need to be needed and wanted,” Stone said. “That’s why gangs are growing. We must do a better job of listening to them and wanting to be with them. Bill Chamberlain chuckled about his stint as a Cub Scout, but it formed his love for service and for children and teens. “I didn’t have kids of my own then and I always liked that organization. The volunteers that do it really have their heart in it,” Chamberlain said. “They spend time with the kids. It was rewarding. It’s not all about having money to take them to Disneyland. We went to the park and threw the ball around. Just having somebody to buddy around with and someone that cares for them meant everything,” said Chamberlain. Chamberlain is active in the Rotary Club of Riverside and has coordinated youth projects through their Interact organization. Currently, he raises money for veterans. Over the last 17years, the West Coast Thunder Motorcycle Ride, which he is president of, raised more than $800,000 for Riverside National Cemetery. “We do a lot with young veterans, making them feel appreciated. Not like we did when we came home as vets (in the 70s). There are no protests against veterans now,” Chamberlain said. Even with grown children, Chamberlain still loves working with the area youth. The California Inland Empire Council has been serving youth of Riverside and San Bernardino Counties for more than 93 years. The current council was formed in 1973 through the merger of four smaller areas. The council has served hundreds of thousands of youth over the years, with its scouts and leaders providing innumerable hours of volunteer service to communities and individuals. Council territory includes all of Riverside and San Bernardino Counties and stretches from Fort Irwin and Death Valley to Temecula and Indio; Ontario and Barstow to the Arizona and Nevada borders. The area served covers some of the fastest-growing metropolitan areas in the nation, National Parks and forests, rural farmland, military bases and open desert. For more information, call Tracy Youden at (909) 793-2463, ext. 123. Amateur radios are not difficult to operate and greatly assist The Salvation Army Team Emergency Radio Network in their communication efforts as they and other Salvation Army volunteers provide refreshment to firefighters on the front line. (San Bernardino, Calif.) The Salvation Army Team Emergency Radio Network (SATERN) holds its 21st Annual SATERN Disaster Preparation Seminar on Saturday, January 28, 2017. The event is cosponsored by San Bernardino Corps. The location is: 2626 Pacific Street in San Bernardino. Free parking is available on site. The SATERN Seminar is an annual conference focused on amateur radio and emergency disaster preparation services for Riverside and San Bernardino Counties. The seminar begins at 9:00 a.m. registration starts at 8:30 a.m. continues until 3:00 p.m.
SATERN is the official emergency communications service of The Salvation Army. SATERN is dedicated to assisting The Salvation Army during times of emergency. To provide all possible forms of communications when normal communications are impossible, and through cross training, and assist The Salvation Army in any way possible. Paul Bennet practices emergency communications at a previous SATERN field day. 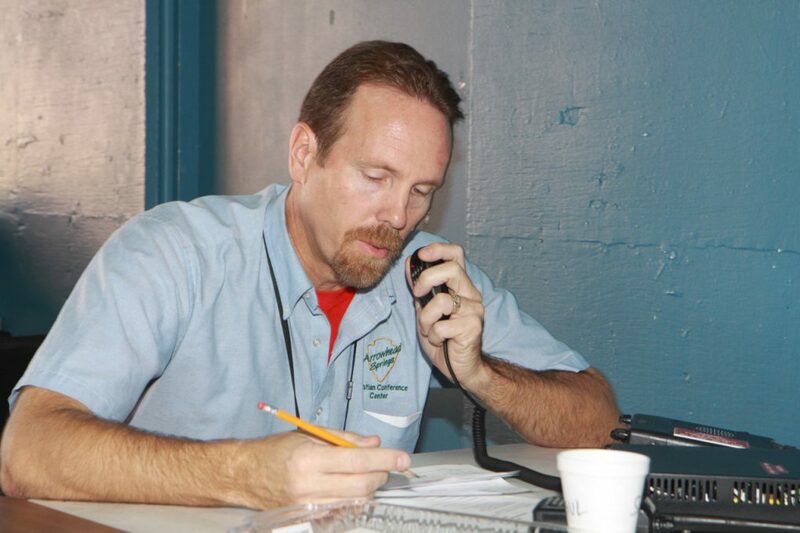 During the event Ham Radio operators practice to provide the Inland Empire with communications during a disaster. 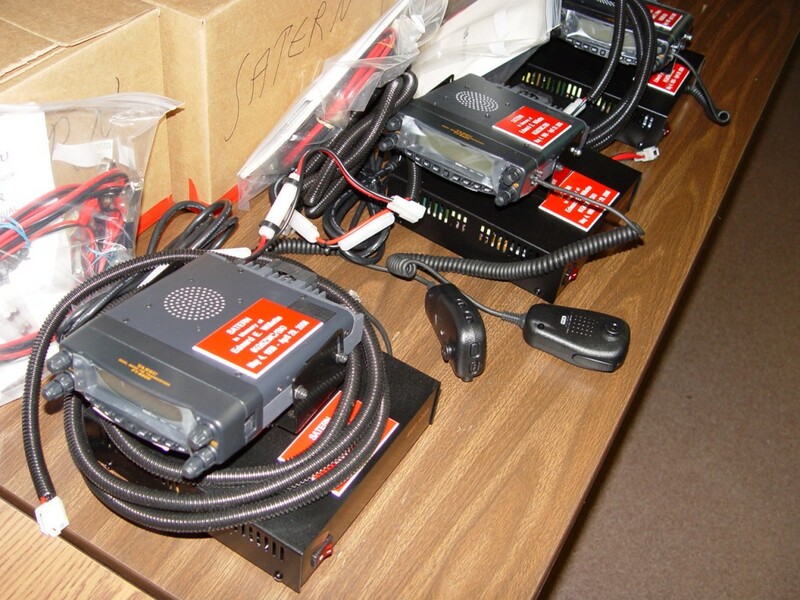 SATERN is a group of amateur radio operators willing to provide emergency communications support for The Salvation Army operations in local, regional, and international disaster and emergency situations. SATERN has provided emergency communications support to The Salvation Army emergency disaster response since 1988. “All who plan to attend must reserve a spot by emailing W1SAT@YAHOO.com Your attendance includes a complementary lunch. A free will offering will be taken to offset the cost of the lunch,” said Henderson. For more information about SATERN go to the Riverside and San Bernardino Counties Section of SATERN’s web site www.satern.net or at the SATERN national web site www.satern.org. Donations may always be made online at www.salvationarmyusa.org or by calling 1-(800)-SAL-ARMY. Our local number is (909) 888-1336. The Salvation Army provides emergency services including food; lodging for homeless or displaced families; clothing and furniture; assistance with rent or mortgage and transportation when funds are available. The Salvation Army Team Emergency Radio Network (SATERN) assists rescue workers and evacuees in such disasters as fires and earthquakes. The Salvation Army is an evangelical part of the Universal Christian Church, and offers evangelical programs for boys, girls and adults. One of the largest charitable and international service organizations in the world, The Salvation Army has served San Bernardino since 1887, supporting those in need without discrimination. The San Bernardino Corps of The Salvation Army serves Bloomington, Colton, Grand Terrace, Highland, Rialto, and San Bernardino. 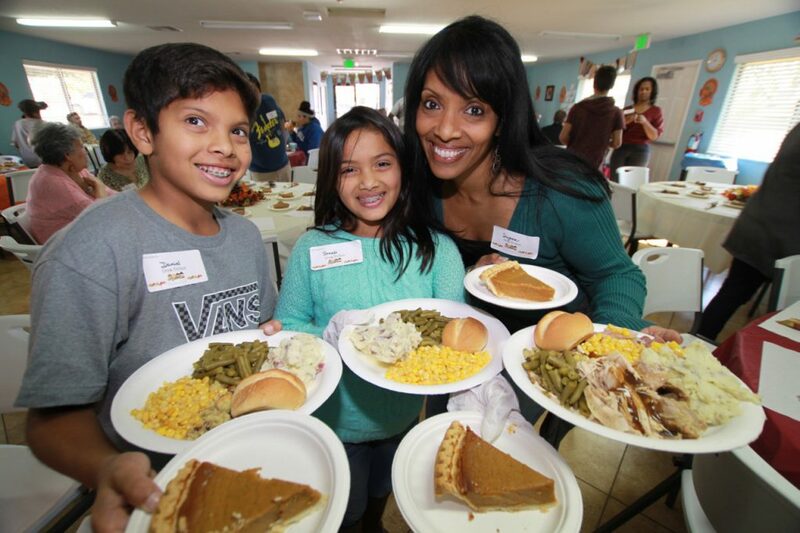 Daniel Herrera 12, Sonali Herrera 10, mother, Sujana Herrera volunteer to serve at the recent Thanksgiving dinner. They are from Riverside this is their second-year volunteering with The Salvation Army. The annual Christmas Dinner for hundreds of people is at 2626 Pacific St., in San Bernardino on Saturday, December 24 from 11:00 a.m. to 1:00 p.m.
(San Bernardino, Calif.) The San Bernardino Salvation Army Corp (www.salvationarmyusa.org) hosts its annual Christmas Dinner for hundreds of people at its headquarters, 2626 Pacific St., in San Bernardino, CA 92346. This year, the Christmas dinner will be held on Saturday, December 24 from 11:00 a.m. to 1:00 p.m.
“We share the joy and love of our God who sent his only begotten son, Jesus Christ, to save us from sin. He taught use to love our neighbors as ourselves. We share this Christmas meal and meals every day to show those in need that God truly cares for all of his children,” said Major Daniel Henderson, Citadel Corp director. People come from Bloomington, Colton, Grand Terrace, Highland, Rialto, and San Bernardino for this annual Christmas celebratory meal. The dinner often serves more than 300 people. “This year, guests will enjoy a turkey dinner with all the trimmings, containing potatoes, gravy, stuffing, vegetables, pie and other food received from donations,” said Lt. Cathie McCully. “The San Bernardino Corps also needs food every day for those at our Hospitality House living shelter,” said Lt. Cathie McCully. Up to 100 family members stay in its transitional and emergency family shelters. (SAN BERNARDINO, Calif.) It’s not to late to make a Happy Christmas for a child. Giving a toy to a needy child. It a small gesture, but participating in The Salvation Army’s Giving Tree will make this Christmas memorable for children in need. Without your help, some children won’t get anything for Christmas. “Just pick up an Angel Giving Tree tag and buy a needy child the gift listed on the tag! The Angel Giving Tree matches donors with hundreds of children who are relying on The Salvation Army this year to bring them a Merry Christmas,” said Major Daniel Henderson, Corps officer for the San Bernardino Salvation Army. The San Bernardino Corps Giving Tree is at Inland Center Mall in San Bernardino, 500 Inland Center Drive in San Bernardino, 92408. Donations received here provide toys to children from 300 disadvantaged families in San Bernardino, Rialto, Highland, Grand Terrace, Colton, Fontana and Bloomington. “Please support disadvantaged children with a Christmas gifts at the Giving Tree by visiting our table in the Inland Center Mall and fulfilling the wishes of a child till December 24th,” said Lt Cathie McCully. Shoppers find cards attached to the Giving Tree. These cards include the names and wish lists of needy children whose families cannot afford to buy gifts. Shoppers simply pluck a tag off the Giving Tree and head for the appropriate store to purchase their gift donations, then return it to the Giving Tree volunteers. Shoppers get to keep the card as an ornament to hang on their own Christmas tree, reminding them of their good deed. 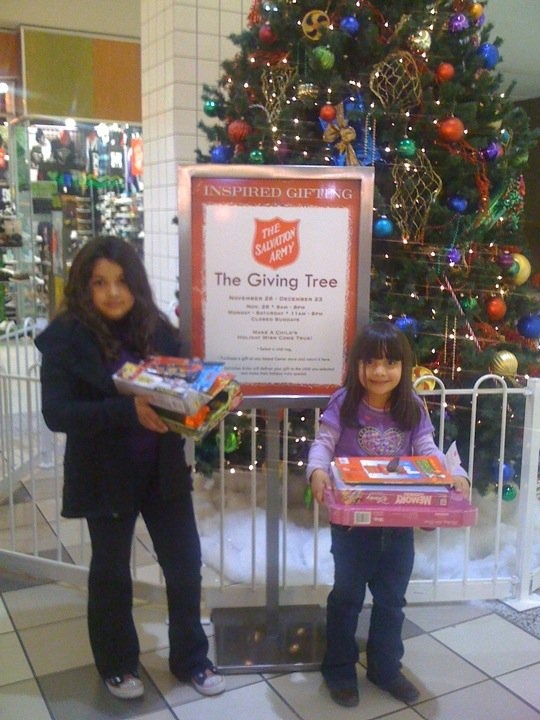 “This is a great way to start a tradition with your family, by selecting a gift for a needy child together. The gifts are based on their individual wishes and for some children, it may be the only gift they receive all year,” said Lt McCully. The Salvation Army may provide emergency services including food; lodging for homeless or displaced families; clothing and furniture; assistance with rent or mortgage and transportation when funds are available. The Salvation Army Team Emergency Radio Network (SATERN) assists rescue workers and evacuees in such disasters as fires. The Salvation Army is an evangelical part of the Universal Christian Church, and offers evangelical programs for boys, girls and adults. 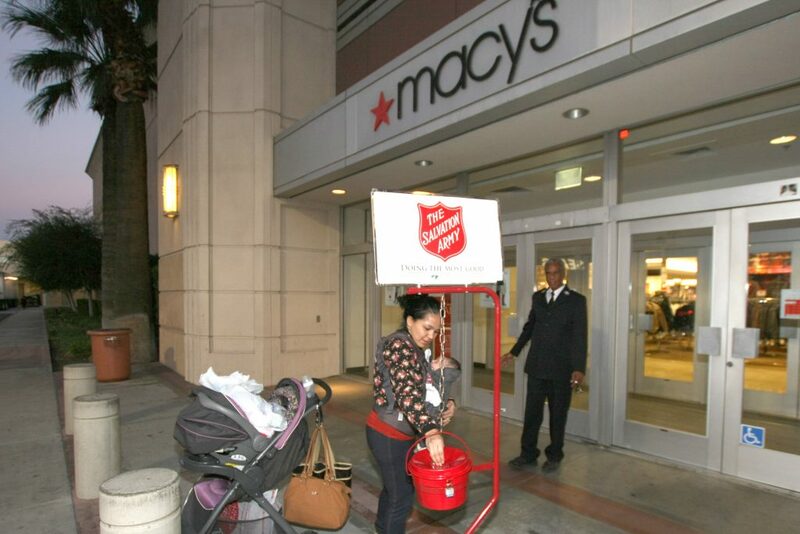 One of the largest charitable and international service organizations in the world, The Salvation Army has been in existence since 1865 and in San Bernardino since 1887, supporting those in need without discrimination. Donations may always be made online at www.salvationarmyusa.org or by calling 1-(800)-SAL-ARMY. Our local number is (909) 888-1336. (SAN BERNARDINO, Calif.) The “miracle” of Christmas is repeated through the joy of caring and sharing. 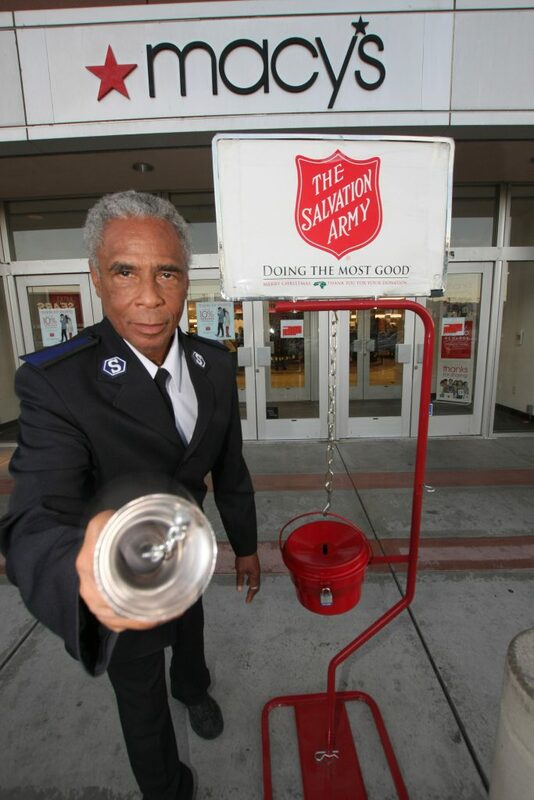 The San Bernardino Salvation Army (www.salvationarmyusa.org) seek volunteers to Keep The Bells Ringing in Bloomington, Colton, Grand Terrace, Highland, Rialto, and San Bernardino. The nationally recognized shiny red kettle is an integral part of the Christmas scene, with millions of dollars donated each year to aid needy families, seniors, and the homeless, in keeping with the spirit of the season. 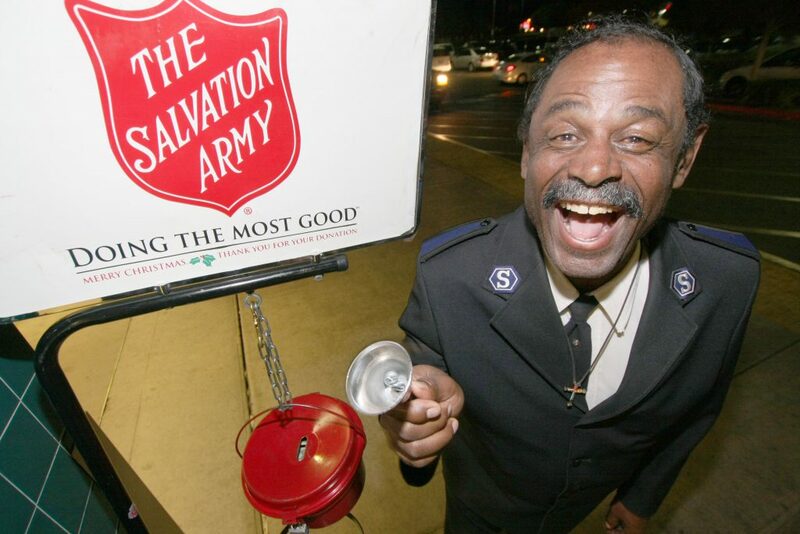 The Salvation Army began ringing its bells this year on Friday, Nov. 18 and continues from 10 a.m. through 6 p.m., Monday through Saturday until Christmas Eve. Many volunteers ring two hours at a time, but groups are asked to provide ringers who can work in shifts for an entire day. Anyone who would like to donate a few hours of his or her time can volunteer. Individuals under the age of 16 must be accompanied a parent or guardian. 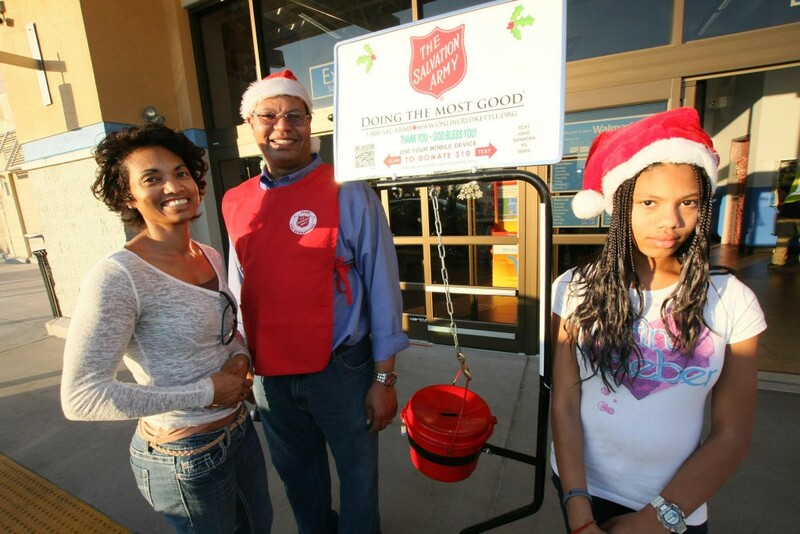 Where does the money raised by the ringing bells in San Bernardino go? The Salvation Army provides emergency services including food; lodging for homeless or displaced families; clothing and furniture; assistance with rent or mortgage and transportation when funds are available. The Salvation Army Team Emergency Radio Network (SATERN) assists rescue workers and evacuees in disasters such as fires and earthquakes. For Christmas, the Salvation Army creates holiday food baskets for about 500 local families. On Christmas Eve, The Salvation Army of San Bernardino hosts a Christmas Dinner that historically provides a delicious meal to approximatly 300 people. Donations raised by volunteers who Keep The Bells Ringing help make this possible. The Corp has other need for your finial and food donations. “The San Bernardino Corps needs food every day for those at its Hospitality House and Transitional Living Center,” said Integrated Mission Coordinator Lieutenant Cathie McCulley. Up to 100 family members stay in its transitional and emergency family shelters. Up to 300 people who receive a free dinner served Sunday through Friday at 4:45 p.m. at The Transitional Living Center, 925 West 10th Street in San Bernardino. Your donations are needed to keep this program going. 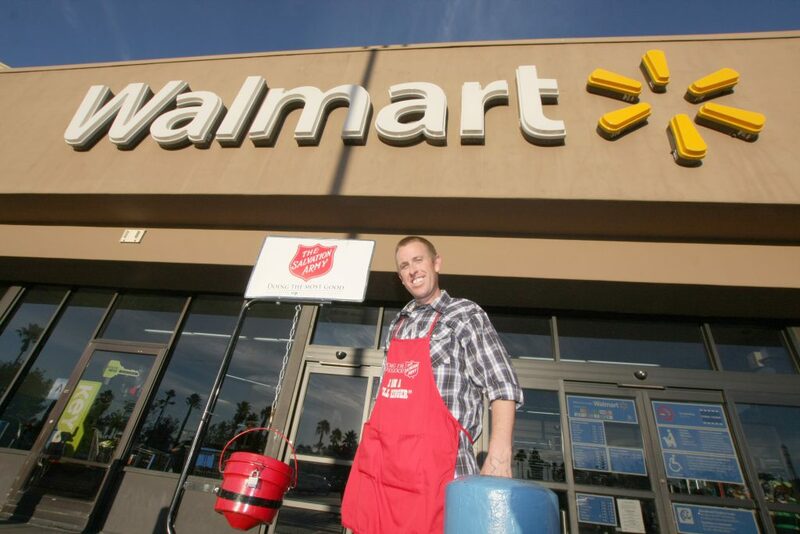 To volunteer to Keep The Bells Ringing, call The Salvation Army at (909) 888-1336. Donors may drop off turkeys, other food, cash or gift cards at the Salvation Army’s Corps Office at 2626 Pacific St., in San Bernardino, CA 92346, phone (909) 888-1336. Captain Mcfee set up a kettle at the Oakland Ferry Landing, which operated a ferry that was, in those days, the only way across San Francisco Bay. He put a sign on the kettle saying “Keep the Pot Boiling” and raised enough money to serve the Christmas dinner. • One in three of adults in the U.S. do not wash their hands after using the bathroom. • One in four adults don’t wash their hands after changing diapers. (San Bernardino, Calif.) Clean hands save lives! It’s a simple message repeated by health care providers and agencies, such as the Centers for Disease Control and Prevention (CDC), to avoid getting sick. 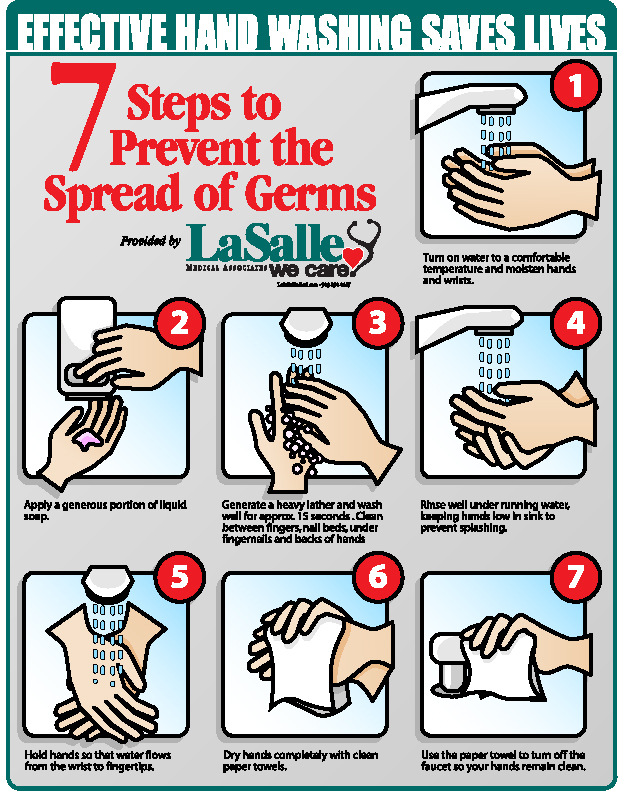 Keeping hands clean is one of the most effective ways to prevent the spread of infection and illness, such as the common cold and influenza, says Dr. Albert Arteaga, president of LaSalle Medical Associates. As you touch people, surfaces, pets and objects, you accumulate germs on your hands, and although it’s impossible to keep your hands germ-free, washing your hands frequently can help limit the transfer of germs. “Just think about all the things you touch everyday. You come in contact with germs all the time, so there are many opportunities to wash your hands,’’ says Arteaga. One in three of adults in the U.S. do not wash their hands after using the bathroom. One in four adults don’t wash their hands after changing diapers. Less than half of Americans wash hands after cleaning after pets. One in three of adults wash hands after sneezing/coughing. Less than one in five adults washes their hands after touching money. One in three E. coli occurrences is caused from not washing hands before handling food. “If hands are kept clean, the transmission of germs from person to person is greatly reduced,” Arteaga says. “But just holding your hands under running water won’t do the trick. There are proper techniques to follow,” he continued. The best way to effectively eliminate most germs, Dr. Arteaga says, is to wash your hands with soap and water for about 15 to 20 seconds, followed by a good rinse. For those concerned about time, Dr. Arteaga suggests looking no further than the “ABC Song.” He says singing the “ABC Song,” which is about 20 seconds in length, is not only effective in timing your own hand washing but is a unique way to help children develop their vocabulary skills and understand the importance of proper hand washing. As an extra precaution, when using public restrooms, Dr. Arteaga suggests drying your hands with a paper towel, using it to turn off the water. Then, before discarding the paper towel, use it to open or close the bathroom door. In the event a sink and or soap and water are not available, Dr. Arteaga suggests using an alcohol-based hand sanitizer gel or wipes, which are also effective in eliminating germs. But, Dr. Arteaga also points out, soap and water is still best in removing germs and bacteria. Wash your hands before and after you eat, use the toilet, change a diaper, touch an animal, blow your nose, cough or sneeze, handle garbage and touch a computer screen or telephone. Dr. Arteaga says it is also good practice to wash your hands after visiting a park, entering our homes, and using our computers and telephones. 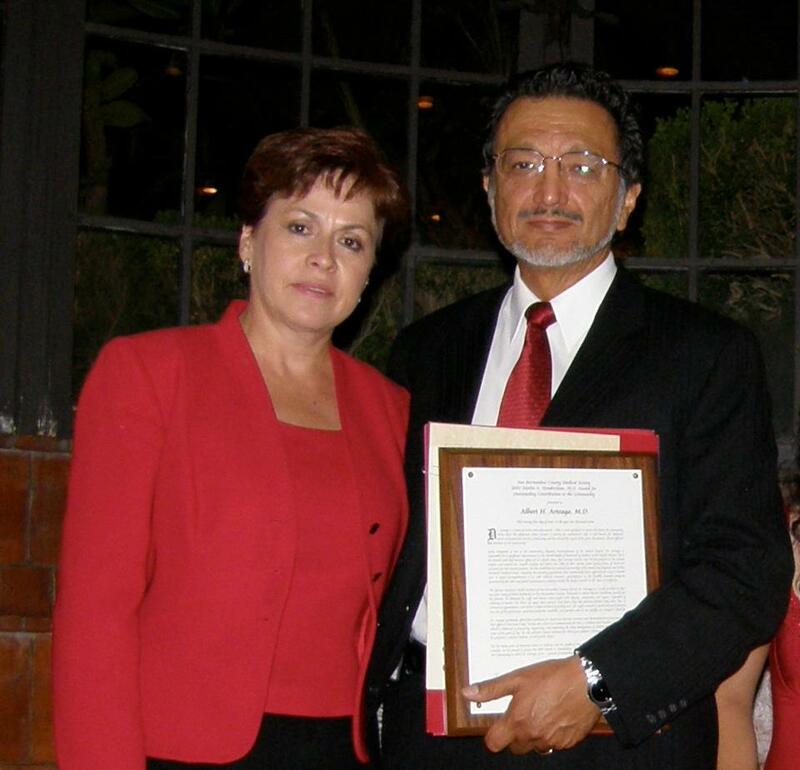 Dr. Arteaga and his wife, Maria, a registered nurse, founded LaSalle Medical Associates 32 years ago. He and his team of 120 health care professionals treat thousands of patients for infectious diseases, such as the common cold and seasonal influenza each year. LaSalle operates clinics in Fontana, Hesperia and San Bernardino. LaSalle Medical Associates is an Independent Physicians Association (IPA), which has a membership of 1,900 health care professionals serving 190,000 patients in Los Angeles, Riverside, San Bernardino, Fresno, Kings, Madera, San Joaquin and Tulare counties. For more information about LaSalle Medical Associates, call (909) 890-0407 or go on line to www.LasalleMedical.com. LaSalle Medical Associates, Inc., operates four clinics employing more than 120 dedicated healthcare professionals, treating children, adults and seniors in San Bernardino County. LaSalle’s patients are primarily served by Med-Cal and Healthy Families and they also accept Blue Cross, Blue Shield, Molina, Care 1st, Health Net and IEHP. LaSalle’s clinics are at 17577 Arrow Blvd. in Fontana, 16455 Main St. in Hesperia and 1505 West 17th St. and 565 N. Mt. Vernon Ave. in San Bernardino. LaSalle Medical Associates, Inc., is also an Independent Practice Association (IPA) of independently contracted doctors, hospitals and clinics, delivering high quality patience care with more than 190,000 patient visits per year in Fresno, Kings, Los Angeles, Madera, Riverside, San Bernardino, San Joaquin and Tulare Counties.